We hired a DJ for a party and he played good music and was good natured, pleasant and sociable. When the affair was over we thanked him, tipped him and even helped load his equipment into his rather beat up rusting vehicle. I think part of why we hired him in the first place was because we felt sorry for him and it was a way in which we could help him out financially. We probably won’t employ him again though, because he didn’t really have the enthusiasm to drive our party into a humming frenzy of dancing and partying, which is what we initially envisioned. We realized that this DJ just didn’t have what it takes to really get things rolling on his own. He couldn’t take charge and he couldn’t sustain hours of great music mixing to keep the party on its feet well into the night. We were dealing with an amateur, at best. Not too long after that we saw what an “A” game professional DJ really looks like and he looked exactly like Julien Roussel, the famous French DJ who has made a fabulous reputation for himself because of his enthusiasm for the music and the people he works with. We saw him when we were in St. Barth. We heard the music and partying was great at Nikki Beach, that great beach club, and when we went there we found out why. It was the DJ, Julien Roussel! He had been the Artistic Director and the DJ at the club for 5 years. And you don’t get to be in that position if you’re in the minor leagues. We couldn’t believe that we actually got in because the line was so long and we could hear his terrific music mixes from the open door to the club. Once we got in we saw every one moving and smiling to a rhythm that had a dance beat that compelled you to get up and be in motion. It was as if julien had his his finger on the pulse of humanity’s inner music tempo. On the wall and outside there were posters advertising the club with Julien’s name on them. He was the star of the show and people stood in line just to see him. That show was an eye-opener for us. 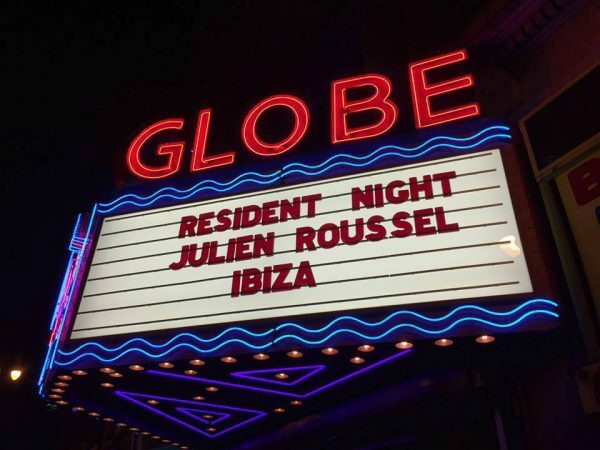 Julien’s performance showed us the difference between what a superstar is and what an amateur DJ is. Julien is known throughout the world and is an artist. His passion for his music has driven him to the top of his field and now that we’ve heard he has moved his studio to Ibiza, we know where we’ll be going on our next vacation.